Thermage is a nonsurgical treatment that uses radio frequency to safely and effectively reduce the appearance of wrinkles and tighten skin on the face, neck, and body. 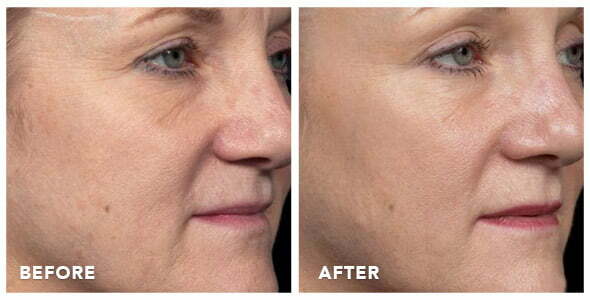 Would you like to reduce the appearance of wrinkles and lax skin, but aren’t quite ready for more invasive procedures? Thermage (ThermaCool®) is often called the “lunch time facelift” because it gradually diminishes the appearance of wrinkles while requiring no cutting, no bruising, and no downtime. It is so popular it has been featured several times on Oprah, as well as other news specials. Thermage uses a proprietary radio-frequency technology that quickly and effectively prompts your body’s natural healing response, triggering an increase in collagen production and tightening the surrounding areas. During treatment, we will apply a handheld device to the treatment area. The top layers of your skin will be protected with a cooling spray while radio frequency energy heats the collagen in the lower layers, causing your skin to tighten immediately. Over time, new collagen grows to further tighten your skin and produce a youthful appearance. The Thermage procedure takes approximately two hours and your results will gradually appear and improve over a period of about six months. Thermage can be used on the face, neck, stomach, legs, arms, and hands to produce noticeably tighter and younger looking skin without the need of surgery. Hand Rejuvenation. Dr. Sobel can use the Thermage system to rejuvenate the appearance of aged, crinkled hands with just one treatment. Lip Definition. A single, noninvasive treatment with Thermage can help smooth and tighten the skin around the lips to create a more defined lip line with a decrease in wrinkles. Cellulite Reduction. Cellulite is notoriously difficult to treat, but Thermage has been shown to provide impressive results in cellulite reduction by increasing collagen and blood flow in the affected areas. If you want to learn more about Seattle Thermage or how this unique treatment can help you, contact us today to schedule a complimentary consultation with Dr. Sobel. During your appointment, Dr. Sobel will evaluate your concerns and recommend the best treatment plan for you.